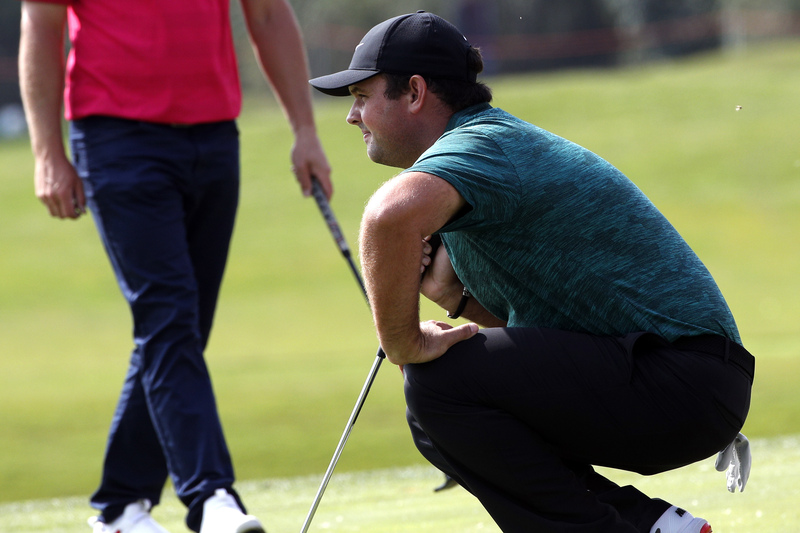 Patrick Reed overcame windy conditions to claim a two-shot lead at the WGC-HSBC Champions in Shanghai with an eight-under-par first-round 64. The Masters champion, making his first appearance since the Ryder Cup, carded eight birdies in his blemish-free round at Sheshan International. Fellow Americans Xander Schauffele and Tony Finau ended in a tie for second on six under with England’s Matt Fitzpatrick a shot further back. Tommy Fleetwood was in a group of five on four under while defending champion Justin Rose was on three under along with Ian Poulter and Matt Wallace. Rory McIlroy finished on level-par 72, alongside new world number one Brooks Koepka, after battling to cancel out a double bogey and two bogeys with four birdies. Reed, playing the back nine first, started superbly with birdies at the 11th and 12th and picked up two more shots before a run of three successive birdies after the turn saw him power ahead. He added another birdie on the ninth, his last. 12/14 fairways.18/18 greens in regulation. The American told said on www.europeantour.com: “It felt really good because if you can go out and shoot rounds like that in these kind of conditions, you know you’re going to have confidence when the wind dies down and there are perfect conditions out there. Schauffele’s 66, which came in his 25th birthday, also did not feature a dropped shot while Finau’s card included one bogey and seven birdies. Fitzpatrick recovered well to shoot 67 after two bogeys in his opening fur holes. Former world number one Dustin Johnson laboured to a two-over-par 74 while Open champion Francesco Molinari struggled to a 76.